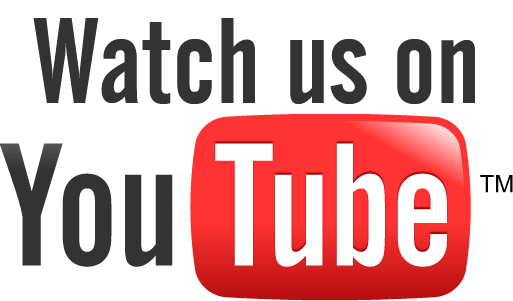 Blow up your Beaker Creatures! 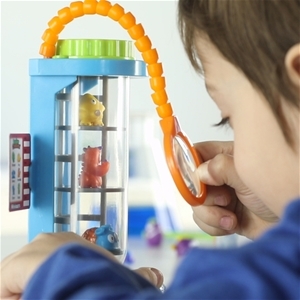 The worlds of science and collectible toys collide with the Beaker Creatures Magnification Chamber from Learning Resources. 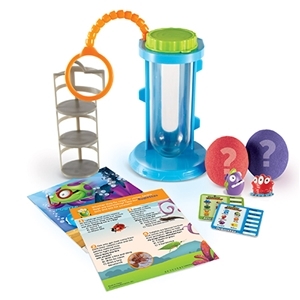 This multi-part playset helps kids discover and display the cool facts about their Beaker Creatures collectibles. 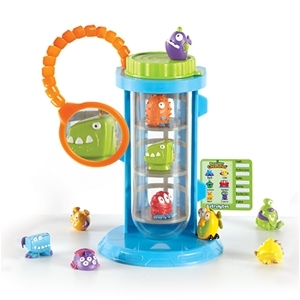 The chamber’s movable magnifier blows up every horn, tentacle, and antenna for better viewing opportunities, while the removable tiered display stand offers plenty of space to store and show off each Beaker Creature. The chamber itself even doubles as a mini lab station for the set’s amazing science experiments inspired by the creatures and their home planets. 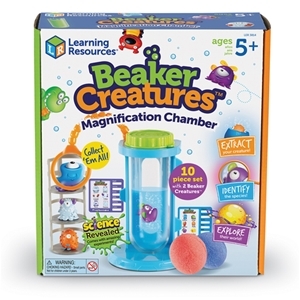 The Beaker Creatures Magnification Chamber also includes two Reactor Pods containing one mystery Beaker Creature each, as well as two classification cards and two double-sided mini-posters. 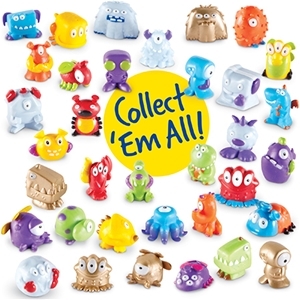 One side features a quiz filled with amazing real-world science facts, while the other features fun images of the creatures at play that combine to form a larger poster!